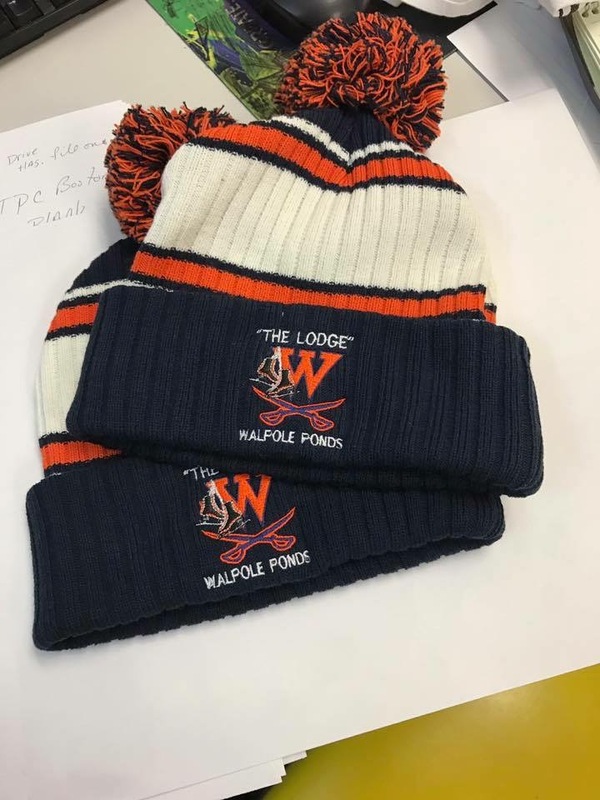 Hats for sale thanks to Walpole’s Friends of St. Patrick. Chasing pucks is always a bad idea!! The last 3 days have been over 50 with a bunch of rain. The Pond will not recover in time for this weekend.